The White Plains accident attorneys at Worby Vecchio Edelman LLP are committed to remaining current with laws that affect the practice of personal injury law. By now, you have probably heard and read a lot about a New York law which extends both criminal and civil deadlines for childhood victims of sexual abuse. On February 14, 2019 Governor Andrew Cuomo signed into law the New York Child Victim’s Act. The law contains three main components. First, it extends the Statute of Limitations for felony criminal actions against abusers of children until the victim turns 28. Second, it extends the Statute of Limitations for civil actions – those brought for monetary damages by the victim against the abuser and enabling institutions – until the victim turns 55. Third, it provides a one year window, or “Revival Statute” for victims to bring civil actions against abusers and enabling institutions in cases where such a claim was previously time barred. The deadline extensions are consistent with the commonly accepted thought that victims of sexual abuse often repress the memory until years or even decades later, so that by the time the victim has processed that an offense was committed, the deadline to take action has already passed. For that reason, the Statute of Limitations for criminal cases that could be prosecuted as of the date of the law’s passage will now begin to run on a child’s 23rd birthday, instead of the previous trigger, which was the child’s 18th birthday. A five year criminal Statute of Limitations will permit prosecution until the victim turns 28 years of age. The Statute of Limitations for civil cases will now be extended to the child’s 55th birthday. The key requirement for both criminal and civil prosecutions is that the victim must have been under the age of 18 at the time of the offense. The extension of the Statute of Limitations for both criminal and civil matters resolved the timeliness issue moving forward. That, however, did nothing to address claims on behalf of victims who were under the age of 18 at the time of the offense which were already expired due to the passage of time. We now focus on the third provision of the Act, a one-year “look back” window to revive expired civil claims on behalf of victims who were under the age of 18 at the time of the offense. The one-year window opens six months from the date that the law became effective, which would be August 14, 2019, and closes one year later, on August 14, 2020. We stress again that the law applies only to those who were less than eighteen years of age at the time that the act against them was committed. Since the law revives claims alleging intentional as well as negligent acts or omissions, actions to be revived are those not only against an abuser, but also against an institution which enabled that abuse, or permitted it to occur or continue. The purpose of the revival window is to re-open claims which would be otherwise precluded under a then prevailing Statute of Limitations. It covers victims of private institutions, as well as public institutions, such as School Districts. The law waives the requirement that a Notice of Claim be filed against a School District as a precondition to commencing an actual lawsuit; the general rule is that a Notice of Claim must first be filed before a lawsuit is started, and that Notice of Claim must be filed within ninety days of the date of incident. This waiver also opens the door to suits which would otherwise be precluded due to a previous failure to file a Notice of Claim. 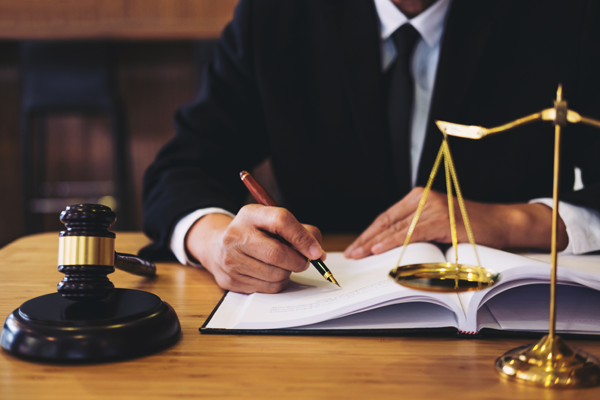 There are other provisions of the law as well, which permit a revived action to obtain a “Trial Preference”, which will push a case to the front the line, ahead of other cases awaiting a trial date in a particular court. As of the date on which this column is written, there remains a more than four month period even before a revived lawsuit can be filed, so there is still a relatively long period of time to commence a revived lawsuit. However, we do not expect that deadline to be extended, meaning that August 14, 2020 will be the final deadline to commence a revived lawsuit. The White Plains personal injury attorneys at Worby Vecchio Edelman LLP are well aware of the devastating consequences of sexual assault and abuse. New York State has taken steps to open the courthouse doors to those victims for whom it was previously closed. Call us if you or a loved one have suffered in this manner. We can explain your rights going forward, and make sure that your claim is filed in a timely manner, while the window remains open. We offer a free consultation, and we work on contingency, so we only charge a fee if we obtain money on your case.